Lesley-Anne Williams teaches literature, Latin, and fine arts at LeTourneau University. She specializes in the ancient, medieval, and renaissance periods. Her classes feature a strong emphasis upon mythology and fairy tales. She holds graduate degrees in literature, theology, and philosophy, and this training can be seen in the ways she tries to integrate faith and learning in the classroom. 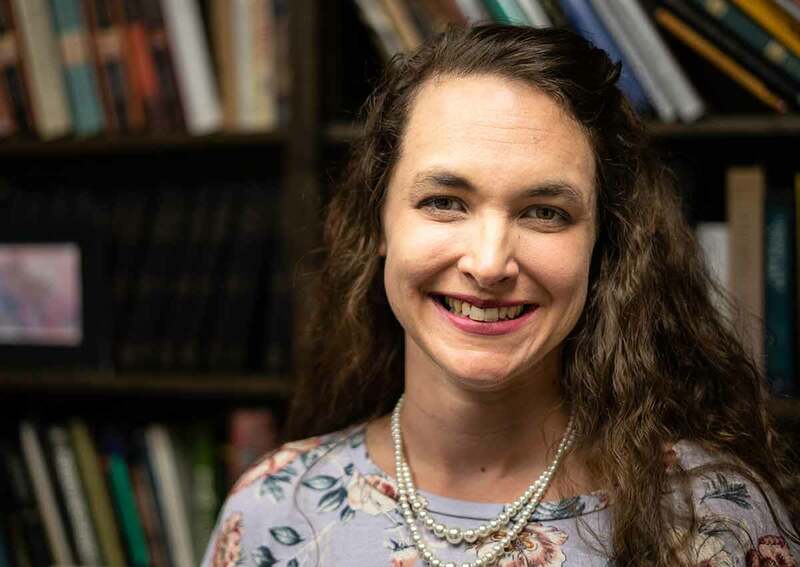 She has recently been coordinating a new liberal arts experience at LeTourneau­­—The Guild—that gives students the opportunity to approach their general education requirements in an intentional, communal, and interdisciplinary way. After hours, she loves to swim and cook with her family. She and her husband, Will Williams, can often be found playing the latest historical board game, enjoying the Marvel universe, and reading “Peanuts” cartoons­­—that is, when they are not playing make believe with their young children. Dissertation: "Translating Eternity in the Twelfth-Century Renaissance from Anselm to Thierry of Chartres." Thesis: "Being, Truth, and the Place of Wyclif's De Ente Predicamentali"
Thesis: "The Hermeneutics of Augustine on the First Chapter of Genesis. Lesley-Anne William’s academic research focuses upon recovering the traditional meaning and significance of the divine attribute of eternity. This issue became important to her when she was wrestling with a particular passage from Milton’s Paradise Lost­—the one where Raphael draws an analogy between eternity and time that makes the telling of a story about the fall of the angels possible. She quickly discovered that contemporary secondary literature on time and eternity was inadequate for helping her understand exactly what was being implied about the nature of both eternity time. So much focus in contemporary philosophy and theology has been upon emphasizing the timeless aspect of eternity in classical theism that a long tradition of time as a moving image of eternity has been ignored. This tradition does not merely define time and eternity in opposition to each other and has influenced Christian culture in some surprising ways. She has examined this issue in the works of Plato, Aristotle, Plotinus, Augustine, Boethius, Anselm, Bernard of Chartres, William of Conches, Peter Abelard, Thierry of Chartres, Bernard Silvestris, Dante, and John Wyclif. Throughout her publications she contends that both eternity and time are kinds of life, and that time, as a created thing, is a kind of life that is made in the image of eternity. This analogy between eternity and time influences historical understandings of the quadrivium in medieval liberal arts education, the reciting of the psalms in traditional Jewish and Christian worship, the role of competition in mimetic production, and even the rise of poetry as an independent academic discipline. "Beautiful Bodies and Shameful Embodiment: The Paradox of Embodiment in Plotinus' Enneads," in Embodiment, ed. by Justin Smith. Oxford Philosophical Concepts Series. 2017. "Roman Catholicism," Evangelical Dictionary of Theology, ed. by Dan Treier. 2017.